Lower back pain is the single leading cause of disability worldwide and millions of people suffer from spinal disorders including low back pain, scoliosis, disc disease, to name a few. October 16th is World Spine Day – a time to raise awareness on spinal disorders as part of the Bone and Joint Decade’s annual Action Week. Here are five tips to improve your posture from your diet to chiropractic care. In this day and age, most of us spend our days hunched in front of a computer. Being stuck in one position for hours on end not only restricts our range of motion, but also limits our ability to stretch our spine. To stay limber, get on your feet for few minutes every half hour and stretch. Try writing down how you feel afterwards! One of the best ways to increase body awareness is to practice yoga. Practicing yoga and meditation simultaneously provides the opportunity to listen to your body concentrate more on siting up straight. Recent studies have shown yoga to improve posture, while strengthening the core and lengthening the spine. 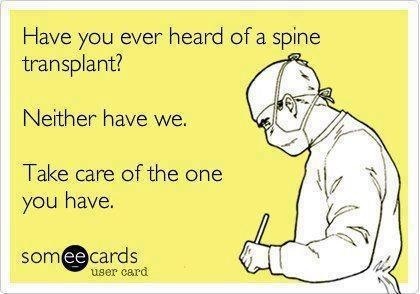 The spine is the thing that holds up our body all day long, so it’s important to keep it in tip-top condition. Yoga studios are available all over New York City, but you can also practice at home or through your local rec center! So this one may sound like a given, but when you work at a desk, sitting up with tall posture is a good habit to get into. Exercise physiologist, Rebecca Seguin adds that we should make a point to keep our shoulders dropped, so that tension doesn’t build up in our necks. This body awareness can take some getting used to, but can be made easier if you sit on a core chair or yoga ball at work, both of which promote good posture. 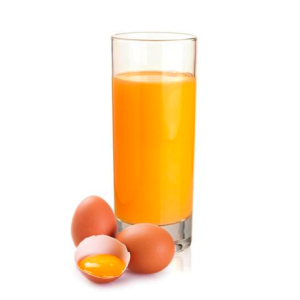 Surprisingly, a cheese omelet with a glass of orange juice can help improve the spine. All of these foods, as well as salmon, tofu and are packed with Vitamin D, essential for not only our spines, but bone health overall. Calcium filled foods also reduce the risk of malnutrition; one of the leading causes of a frail spine. Although a cheese omelet may not be the healthiest choice, there are plenty of ways you can achieve a healthy diet with Vitamin D to decrease spinal pain. With lumbar spine stabilization and proper flexibility training, chiropractors can relieve pain and improve posture in a matter of minutes. Doctors of chiropractic (DCs) – who receive a minimum of seven years higher education – use hands-on spinal manipulation and other alternative treatments to properly align the body’s musculoskeletal structure. According to Allegheny Medical, an estimated 22 million Americans visit chiropractors annually. By alleviating the muscles, joints, bones and connective tissue in the spinal region, chiropractors restore mobility to the central nervous system. With ailments including those particularly in the spine, DCs have proven they can help your body heal itself without surgery or medication. To find a doctor near you, visit: www.f4cp.com/findadoctor. If you want to get involved during World Spine Day, you can also check out http://www.worldspineday.org/ and submit your own #MyBackStory on Twitter or Facebook!